In an online survey of over 200 people, 19 percent preferred Apple, Counterpoint said. The firm defines a "hearable" as wireless earbuds, which are mostly limited to audio at the moment but in some cases already include health tracking or AI assistants, such as the Bragi Dash Pro. Rumors have suggested that second-generation AirPods could include health tracking. Apple-owned Beats is separate in Counterpoint rankings, taking fifth place with 6 percent. Others in the top five include Sony (17 percent), Samsung (16 percent), and Bose (10 percent). Among AirPods buyers, "comfort and fit" was the prime consideration, followed by ease of use. Sound quality was actually a minor one, chosen by just 41 percent. For contrast Counterpoint highlighted Bose, where sound quality was the top motivator at 72 percent. 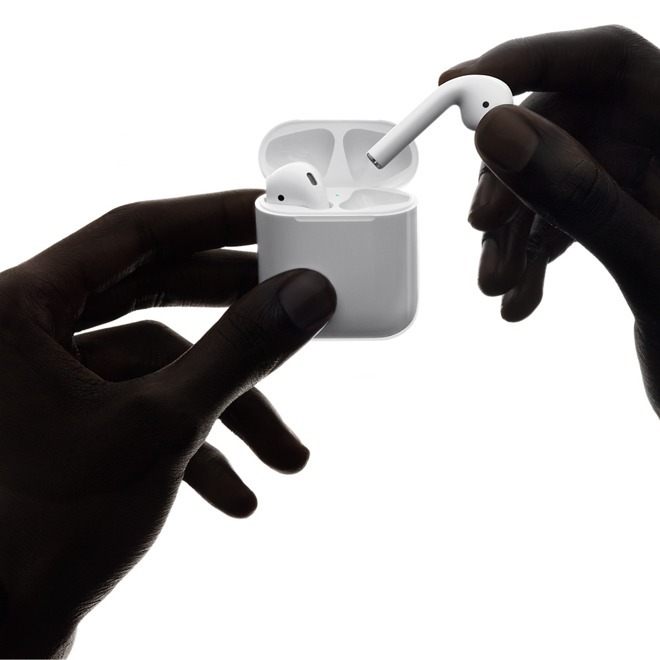 Apple hasn't said exactly how many AirPods it sells, and markets the product mostly in terms of ease-of-use. The buds can, for example, automatically pair with a nearby Apple device, and then sync with every device linked to the same Apple ID. A second-gen model could be announced as soon as Apple's March 25 press event, but other rumors have pointed to a launch later this year. Cue the doubters. Jump right in, fellas and gals. I know Airpods are popular, but a survey of 200 people is nowhere near enough to get to the conclusions they’re making. Who came up with the 35M number, I think what Apple sold is high since I see people wearing them everywhere. Unlike the old style Bluetooth earpieces for a cellphone which made you like the Borg on Star Trak the Airpod are hardly noticeable. Apple once again hit on what people really want, so much so the design is being knocked off all over the place. I hope the next version comes in black. The numbers could jump quite a bit when AirPods 2 are released and people like me, who have been holding off for a second iteration, jump on board. Is that 35M individual earpods, or pairs of earpods, Apple? Unlike the old style Bluetooth earpieces for a cellphone which made you like the Borg on Star Trak the Airpod are hardly noticeable. Apple once again hit on what people really want, so much so the design is being knocked off all over the place. I was out making my rounds one morning and saw a friend who is a bit of a Luddite/contrarian who lacks even a single Apple product. (What a bleak existence!) After a few minutes of chatting, he said, "Nice earphones, man. Those are cool." Damn tootin' they are! I think you mean Counterpoint Research ? Since Apple doesn't report these numbers. Cool. They are great and I see them everywhere I go. But my launch day pair, that they did not offer AppleCare for, barely last half an hour now. So even though they have great sound and functionality, for the last year more and more I have had to grab my EarPods when making phone calls to make it through conversations/business calls. When Apple was pretty much the only big tech company that reported actual unit sales the analysts had hard numbers to work with. It started with not reporting unit sales for the Watch and of course everybody here jumped on it as a sign the watch was a failure. Then came the iPhone reporting change and again it was spun as failure. Now that Apple has in effect normalized its financial reporting the analysts are left with the same guessing game they use to report “estimated” sales numbers for Samsung, Google, etc. Supply chain spying, surveys, snooping around store shelves, word of mouth, and other chicken bone reading methods are what analysts are using to make their reports. So now when we hear reports of Apple success or failure it is simply all conjecture. Feel free to “interpret” the “data” any way you please. Okay I'll bite. I thought they were a terrible design. Uncomfortable, insecure in the ears, with terrible sound. My opinion has not changed. Apparently other people don't agree so I guess YMMV. But for me they are a non starter. Are you holding your ears correctly? As Brit I have to say I am not convinced the Daily Mail is such an ideal source to quote science from. You might want to dig into your Google sources deeper for more reliable sources to impugn Apple products. As Brit I have to say I am not convinced the Daily Mail is such an ideal source to quote science from. It wasn't the Daily Mail that was being quoted. They were just one of the outlets. Being in the Daily Mail isn't reason to accept or reject it as being worth at least being aware of. Keep in mind, according to statista which is one of the more reliable data sources. AirPods are Apples 2nd most successful product in history. But you don't need numbers to know that. We see them everywhere. I was surprised to see more AirPods than first gen Apple Watches. I can see the passive Apple hate from a mile away. AIRPODS, don't play stupid and Apple didn't report these numbers. Why would Apple report single AirPod sales? Forgot to mention Bose got "sound quality" as a key driver? Wow proof marketing will fool people. I wouldn’t trust Statista’s data. I was concerned that they were substantially under-reporting Apple’s installed base. Turns out I was right. 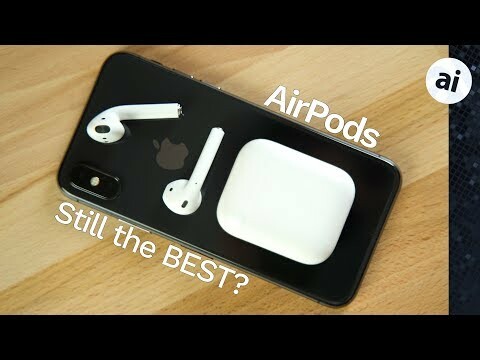 So in a way, AirPods could be doing better? Damn, if Statista isn't accurate, who the hell is?